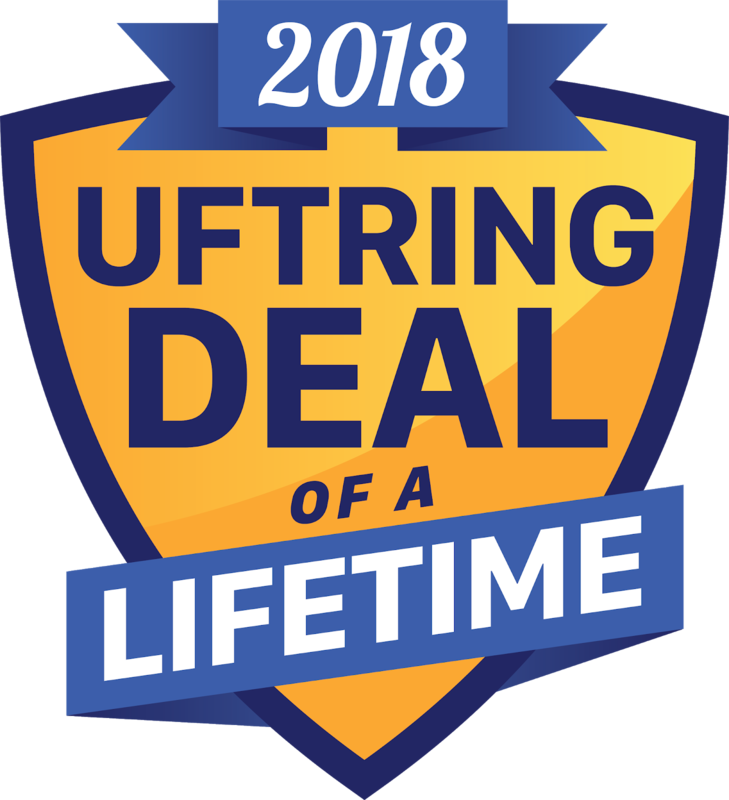 Uftring Auto Blog: The Uftring Deal of a Lifetime is BACK! The Uftring Deal of a Lifetime is BACK! Last August and September, Gary Uftring challenged us (his team of sales consultants) to sell 1,500 vehicles in 60 days - and we did! Thank you to all of our customers who contributed to us reaching our goal. Given the success of last Summer, Gary Uftring decided to raise the stakes! The Uftring Deal of a Lifetime is BACK, and it's BIGGER. This year, we aren't trying to sell 1,500 cars. This year, our goal is to sell 1500... and one. 1501 cars in 60 days! Can we do it? With your help we can! What Makes this the Deal of a Lifetime? In order to sell 1501 cars in 60 days, we have to provide deals around the Peoria area that are too good to pass up. Some would call them "Deals of a Lifetime!" You won't believe how much you can save on your favorite cars, trucks and SUVs. It's amazing! There really is no better time to buy than these next 60 days. Visit uftringautogroup.com to check out our group-wide inventory. We look forward to getting you the Deal of a Lifetime!